Home \ Blog \ Hawaii Volcano Hiking Guide Tour \ Obama talks about being Outdoors in Hawaii! Obama talks about being Outdoors in Hawaii! Thanks for the shout out President Obama! 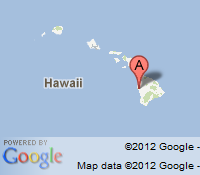 Our guides at Hawaii Outdoor Guides appreciate the splendor of Hawaii too. You don’t have to be President of the United States to enjoy Hawaii, Book a day tour or Multi-day tour now!